↑ "Westman Islands". Icelandic Tourist Board. สืบค้นเมื่อ 13 April 2014. ↑ Taylor Kate Brown (11 September 2014). "How do you stop the flow of lava?". BBC news. สืบค้นเมื่อ 14 September 2014. 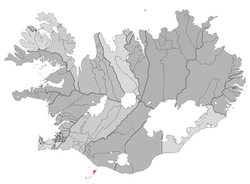 ↑ "VESTMANNAEYJAR: Volcanic Activity". Nordic Adventure Travel. สืบค้นเมื่อ 21 January 2014. ↑ "Météo climat stats for Vestmannaeyjar". Météo Climat. สืบค้นเมื่อ 21 March 2017. 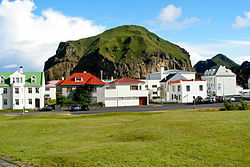 ↑ "Météo climat stats for Vestmannaeyjar (records)". Météo Climat. สืบค้นเมื่อ 21 March 2017. หน้านี้แก้ไขล่าสุดเมื่อวันที่ 19 กรกฎาคม 2560 เวลา 18:48 น.